The Woman in White famously opens with Walter Hartright's eerie encounter on a moonlit London road. Engaged as a drawing master to the beautiful Laura Fairlie, Walter is drawn into the sinister intrigues of Sir Percival Glyde and his "charming" friend Count Fosco, who has a taste for white mice, vanilla bonbons and poison. 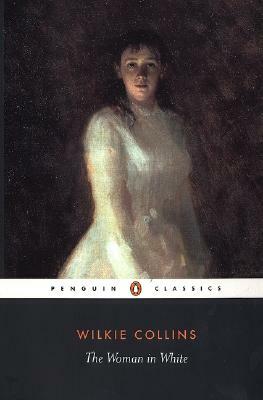 Pursuing questions of identity and insanity along the paths and corridors of English country houses and the madhouse, The Woman in White is the first and most influential of the Victorian genre that combined Gothic horror with psychological realism. Wilkie Collins (1824-1889) began his literary career writing articles and short stories for Dickens' periodicals. He published a biography of his father and a number of plays but his reputation rests on his novels. Collins found his true fictionalmetier in mystery, suspense and crime. He is best known for his novels in the emerging genres of Sensation and Detective fiction. Matthew Sweet is a journalist and critic, and wrote his doctoral thesis on Wilkie Collins.